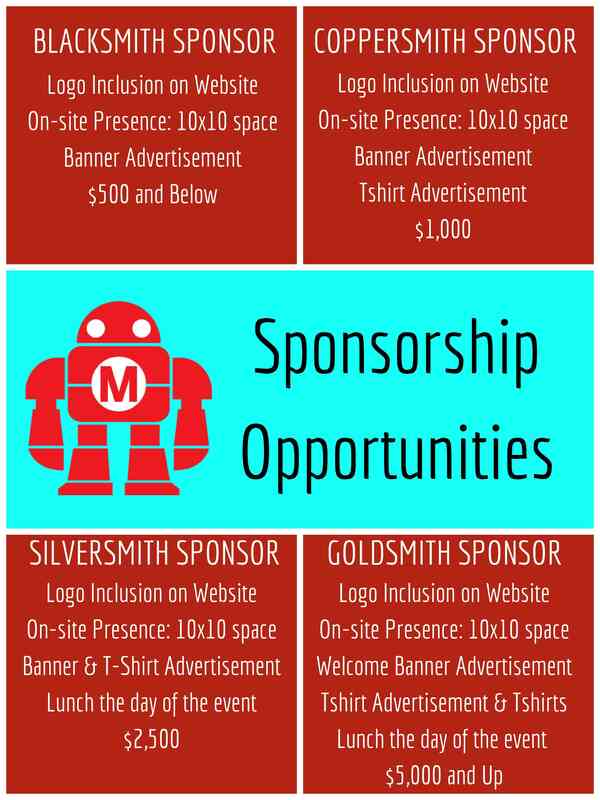 Thank you for considering sponsorship of the 2nd annual Elkhorn Mini Maker Faire. Your support allows us to offer Early Bird tickets at no charge, free hands on "make and take" booths, entertainment, and much more! Without our sponsors, our event would not have been the success that it was last year. Thank you for all you do. Welcome Banner Advertisement: For example "The Elkhorn Mini Maker Faire is Sponsored By "COMPANY NAME".